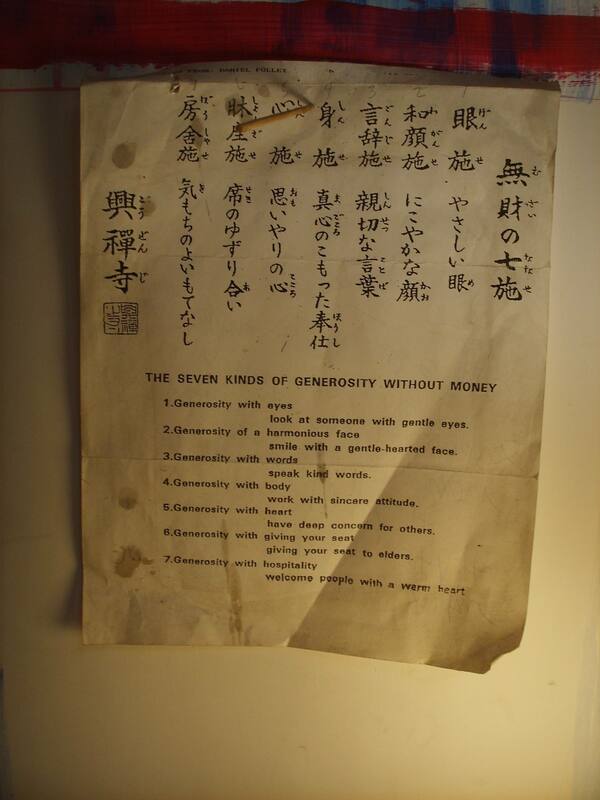 Seven Kinds of GENEROSITY … | EASY FLOW- FLOW EASY ! August 26, 2014 · Filed under A) FLOW EASY ! 1. Generosity with eyes – look at someone with gentle eyes. 2. Generosity of a harmonious face – smile with a gentle hearted face. 3. Generosity with words – speak kind words. 4. Generosity with body – work with sincere attitude. 5. Generosity with heart – have deep concern for others. 6. Generosity with giving your seat – giving your seat to elders. 7. Generosity with hospitality – welcome people with a warm heart. Can we be generous ? the run for money & the lack of time … makes people forget so much ! Makes them behave like idiots, sometimes even makes them forget who they are … SERIOUSLY !